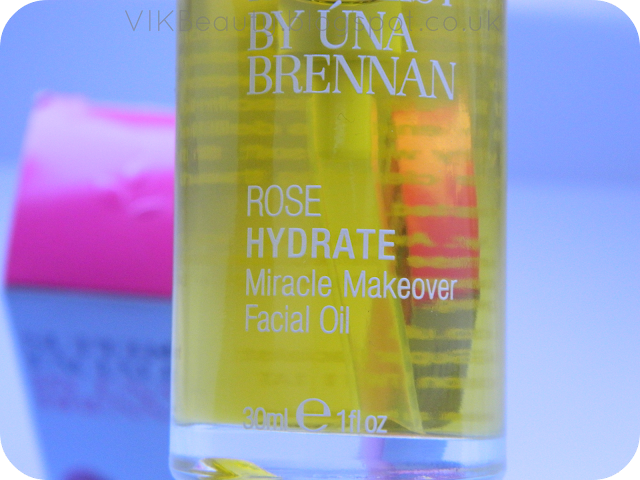 This Rose Hydrate Miracle Makeover Facial Oil by Una Brennan is by far one of my favourite pre-cleanse oils out there at the moment. It feels like you're having a mini facial at home. 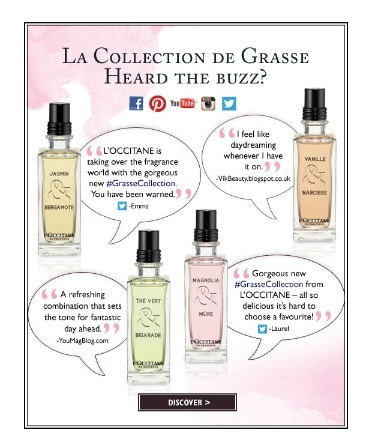 Funnily enough, when I got it, I actually didn't think it was a pre-cleanse oil until I read the small print. This oil is designed as a pre-cleanse treatment. It penetrates into the skin dissolving all the makeup and grime that has built up during the day. As I have oily skin, I was quite weary of using this oil, however, it really worked well for me. Besides, you end up washing it off anyway. You simply pour a generous amount of the oil into the palm of your hands working them together to warm the oil. Then apply the oil in circluar motions onto your face and neck enabling the oil to dissolve impurities and open up your pores. Using a warm damp flannel, remove the oil gently. At this point, your skin should look pretty darn clean. This stage is the first part of the double-cleanse process recommended by Una Brennan. It is recommended that after using the oil, you use the Rose Hydrate Calming Creamy Cleanser to remove any dirt leftover. However, I use my usual cleanser. The facial oil contains vitamin rich ingredients like cucumber, sweet almond, avocado and sunflower which are all known to hydrate and calm the skin. 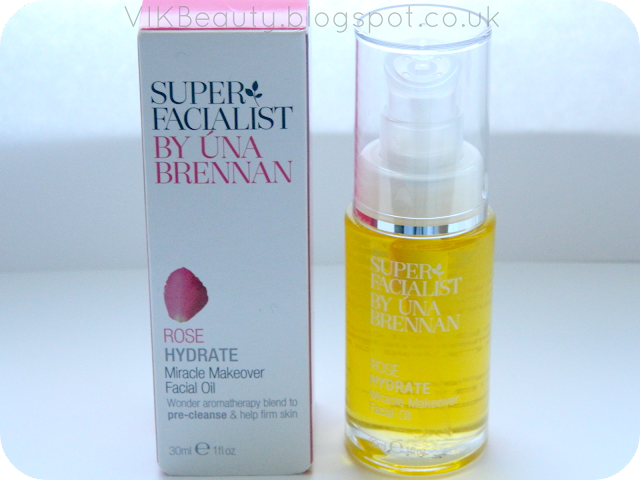 After using the oil, I found that my complexion was instantly brighter, softer and really hydrated. The oil has a really subtle delicate rose scent. It is pleasant and not overpowering. I love that the product comes in a handy pump which avoids any loss or spillages. At the same time, it despenses just the right amount needed. This 30ml bottle retails at £14.99 which I think is reasonable for a product that works as it says it does. 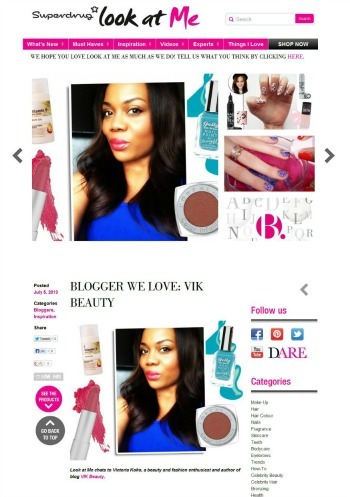 You can pick it up at your local Boots or online. I had a quick look online and boots currently have a special offer on this product at the moment (£9.99). Have you tried this pre-cleanse oil or any product from the Una Brennan range? Wow I'm really impressed with that! Never heard of a pre-cleanser before, I will definitely be trying this as I have oily skin too! Thanks very much!